Telecommunications giant BT is considered a beacon for implementing many positive changes in its workplace mental health policy and practice. BT’s head of health and safety Dr Paul Litchfield tells the Guardian about the company's achievements. Level one – promoting employee wellbeing and preventing distress – including tips on the company intranet and management training. Level two – identifying distress and intervening early through online stress risk assessment and companion training for line managers. Level three – support and treatment for people experiencing mental health problems – including producing ‘advance directives’ to identify early warning signs and establish a plan of action for how someone can be supported if becoming distressed. 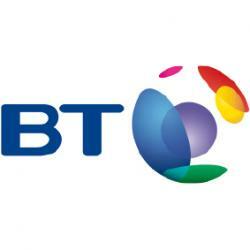 BT’s approach has seen stress and anxiety sick leave fall significantly, by 24% in one area. BT has also launched a cognitive behavioural therapy (CBT) service for staff that has been used by around 200 people with a very high satisfaction rate. The Communications Workers’ Union (CWU) has been working with the Royal Mail Group and British Telecom to create a culture that reduces the stigma of mental illness. It outlines its policies and approach to the problem on its website.